I don’t want to be one of those bloggers who comes on and begs for readers, but this is too interesting not to share. When I began writing on Breaking Bad I was getting pretty steady traffic here, I’m not breaking any records or anything but I was pleased with the amount of readers I was getting. Yeah those last couple days there? Notice how they’re so much shorter than the rest of the bars? They’re the ugly and stubby post signs saying I just lost a shitload of readers after making a single post. So how did this happen? Well as a friend of mine pointed out, he’s been avoiding my blog because he hasn’t caught up with the latest season of Breaking Bad and wants to avoid spoilers. But is this the case with the rest of you? Here’s your chance to tell me. Like I said I don’t want to turn into a blogger than writes up sad, pleading posts every time his traffic dips below optimal. However I also want to keep you guys reading obviously, and not just because of the advertising money it brings (I make like $3.00 a month from ad revenue). I enjoy being able to entertain and inform you guys about writing, stories and all that good stuff. So is it just people are avoiding spoilers for Breaking Bad, which admittedly my articles are full of, or was that last post poorly done? Did you not like the content or how it was written? Was I walking around in my underwear too much? Come on people, bring me your complaints, suggestions or praise. Just let me know I’m not alone in this big lonely desert called the internet. Please? I’ll give you a cookie! 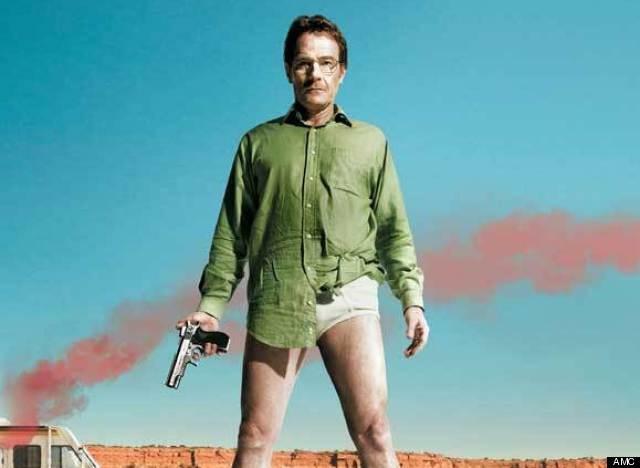 Previous PostBreaking Bad: Where Is Hank? Hahah excellent! I’m glad it’s just people avoiding spoilers. I’ll mix in some more non-breaking bad posts next week so people can still be reading without having to risk spoiling this awesome series. Okay that’s good to know. My next post will be something completely non-breaking bad related! On another note, why aren’t you a fan? Just curious, too violent? Too dark? Just not interested in crime drama? Never watched Breaking Bad myself, i didn’t find the idea of a teacher getting sick so he has to make drugs to make lots of money interesting. I didn’t find the idea interesting either; I started watching it on Netflix when I was bored one night and then suddenly I was hooked. You should give it a try, it might surprise you! That said though, I’ve clearly misread my audience so next week there will be a non-breaking bad post for everyone to read. And if you have an idea of what I should write about next, I’d love to hear it!